It’s no secret; I love Mad Men. I love anything with mid-century modern design. Tons of uncontrollable fangirling anytime anyone within a 5 mile radius mentions an Eames chair. So, there’s this really awesome website, Chairish, where lovers of beautiful, classic, pieces can buy and sell their favorite pieces of furniture. Everything from vintage 50s/60s pieces to modern designers carefully curated by a team of pre-loved furniture treasure hunters. If it meets their approval, it’s on their site. 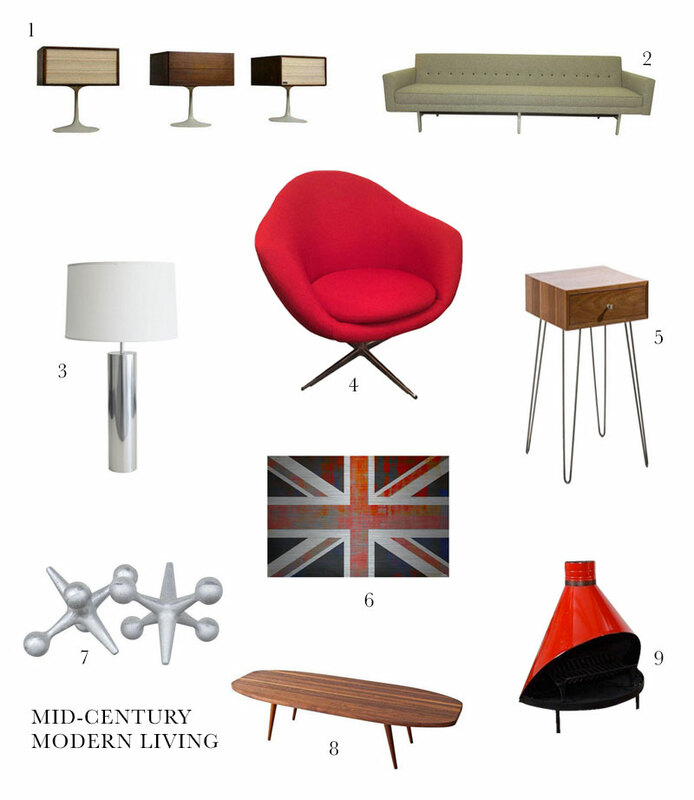 I spent hours browsing their site for the perfect pieces of furniture completely inspired by the vintage red pod chair shown above. I created this here style board with a swinging 60s feel with items entirely from their shop. I even stumbled upon an old armoire my great-grandmother owned which I was eventually to inherit had it not been ruined in a flood. Hope someday I can own that piece! Chairish is pretty great for finding that one quirky piece your home has been missing. Browse more great finds at Chairish including even more vintage accent chairs! Posted in For the Home and tagged Design, Eames, Furniture, Interiors, Mid-Century Modern, Vintage on August 11, 2014 by coffeeandwinter.